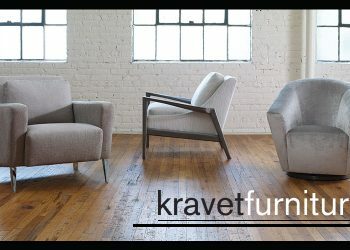 Known for its rich history, Brunschwig & Fils prides itself on inspiring modern interiors with historical influence. 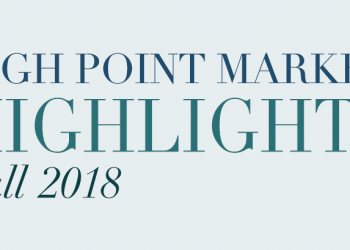 One of the many layers of that legacy is its partnership with the Winterthur Museum, a premier museum of American decorative arts in Delaware. 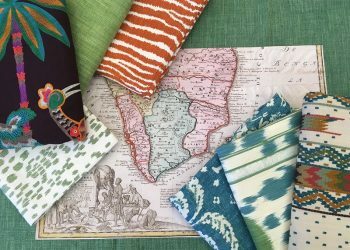 The partnership dates back to the 1970s, when Brunschwig & Fils began licensing archival documents amassed by Henry Francis du Pont, a renowned antiques collector and horticulturist. 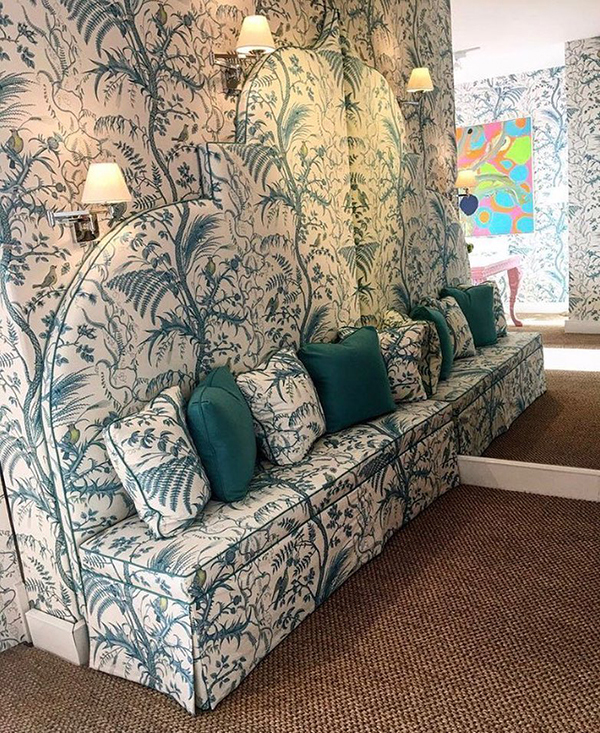 Originally intended to replace the antique fabric in the museum’s Walnut Room, Brunschwig & Fils began adapting and reinventing the documents into exquisite fabric and wallcovering, eventually selling these products to interior designers around the world. 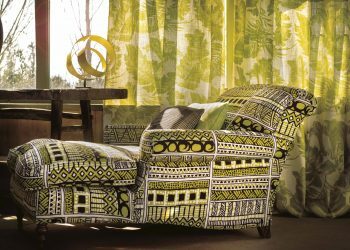 One of the first and most iconic patterns born of this era was Bird & Thistle Pattern, made in 1974 and offered in several colorways. 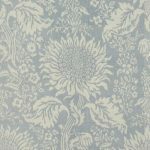 Bird and Thistle Cotton Print was reproduced from a document in the Brunschwig Archive. This 18th century English textile was printed on a cream cotton tab-by from an engraved copper plate at the Bromley Hall printworks in 1780-1785. It includes a serpentine stem with various perched birds and decorative foliage. The scale was slightly elongated, and Red is the documentary colorway. 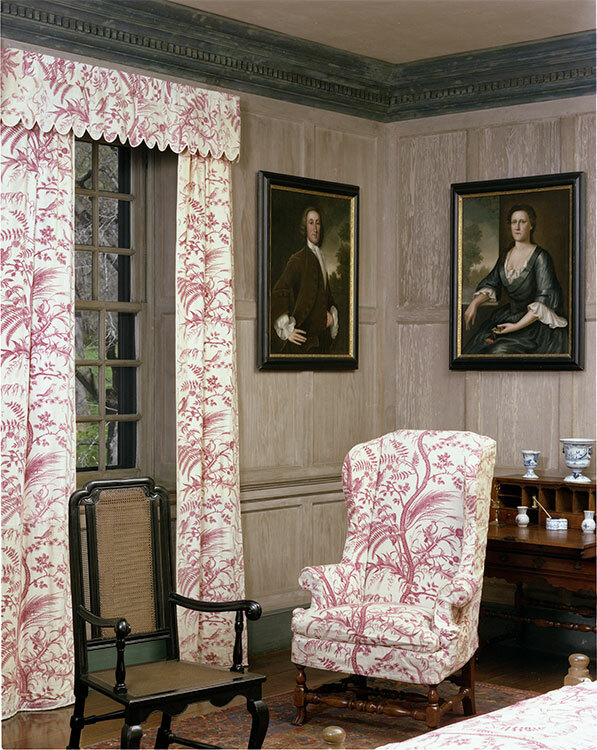 The Walnut Room at Winterthur Museum features both antique fabric in the Bird & Thistle Toile pattern as well as reproduction fabric by Brunschwig & Fils used in the room to refurbish the original fabric. Bird & Thistle is the first pattern that started the fruitful partnership back in the 1970’s. 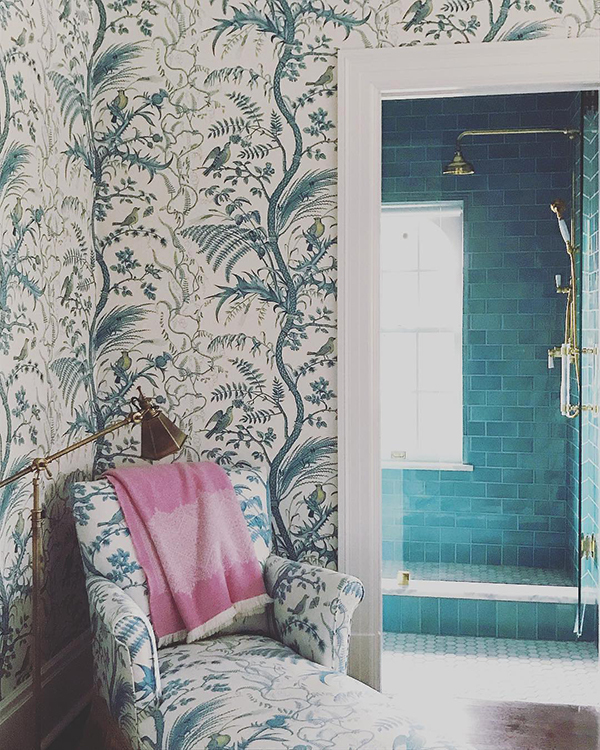 Today, designers all over the world are creating breathtaking interiors using this classic toile. Explore some of our favorite designs below! 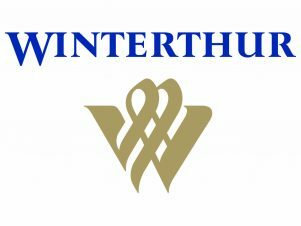 As of 2011, Winterthur Museum houses one of the most important collections of Americana in the United States. 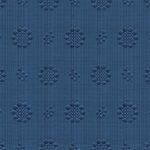 Many additional patterns have been developed by Brunschwig & Fils over the years; each reflect both institutions’ emphasis on quality, craftsmanship and authenticity. 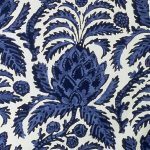 This pattern was adapted from a resist-dyed cotton bed curtain made in England or the United States between 1825 and 1850. 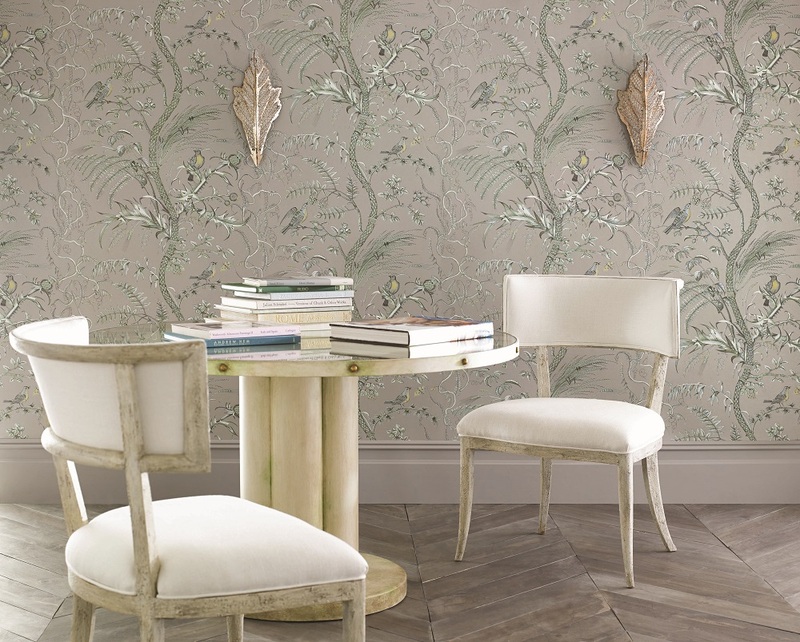 The bold design features pineapples and cascading branches. A tropical fruit, pineapple was a luxury associated with exotic and far-away places. 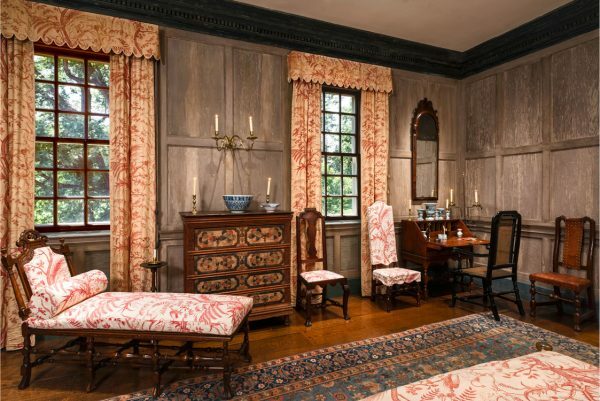 The bed curtain from which Bromelia Resist was adapted is now part of the Textile Collection at Winterthur. 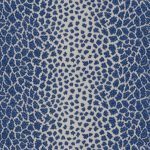 English Leopard is an adaptation of an early nineteenth-century English textile. The fanciful leopard design reflects a long tradition of faux fur and trompe l’oeil imagery that has tickled the fancy of discerning designers for centuries. In an era that saw major changes in textile production, animal designs were found in woven silks, needlework, tapestry, and printed cottons—decorated with the bright, new colors of the booming nineteenth-century textile industry. 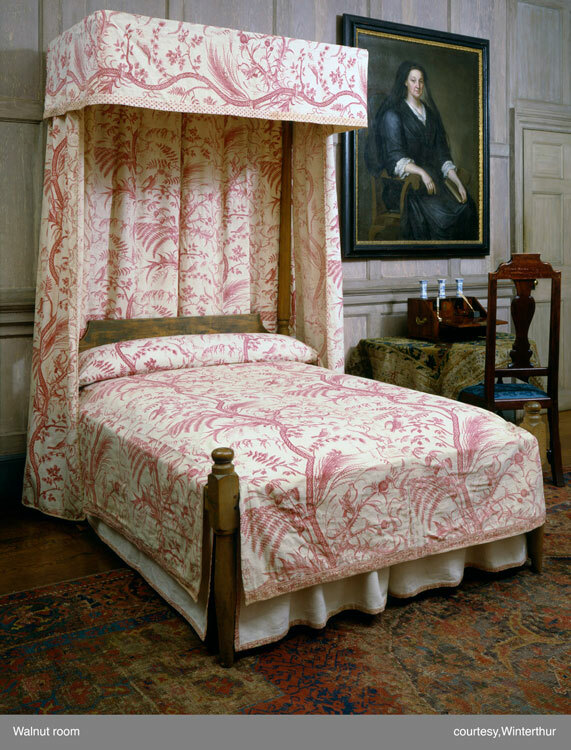 Soleil is a fabric used to cover one of Henry Francis du Pont’s early 18th-century day beds, made in Connecticut and displayed in the Williams Room at Winterthur. This antique textile has been adapted by Brunschwig & Fils in the 20th century as a woven fabric named for the sun, “Soleil” in French. 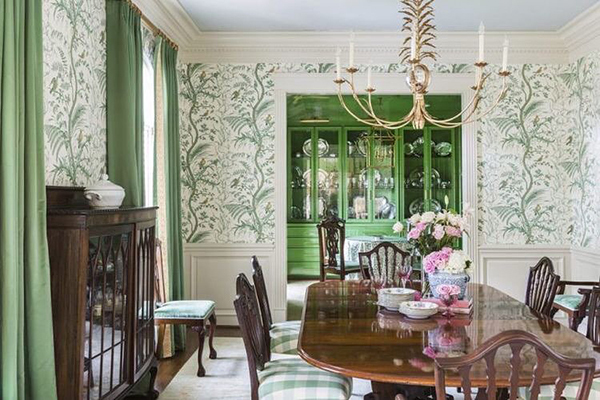 Because of his love of the 60-acre, naturalized garden that surrounded his home, H.F. du Pont often chose fabrics decorated with garden scenes. 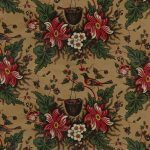 Brunschwig & Fils has adapted an antique textile from the Winterthur textile collection to make a handsome fabric entitled Chandler. The original fabric was made in either France or England between 1820 and 1840. Niave floral and berry sprigs are uniformly scattered across a striated background. 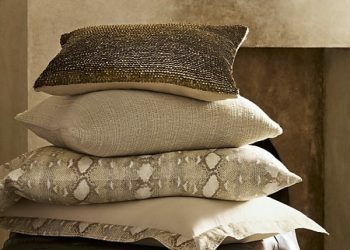 Created as a home furnishing textile, the antique fabric is currently located in textile storage at Winterthur, where light, temperature, and humidity are carefully controlled so as to preserve this special example of textile craftsmanship from the past. A creative imagination is demonstrated by the artist who depicted the oriole’s pocket-style nest as a basket with a swinging handle in Oriole. Other elements in this composition are typical of the bird-design textiles that often included arborescent structures and colorful flowers.